MANY people have opted for highrise residences due to land scarcity, convenience, and better security. However, condominium living can be a hassle when it comes to booking common facilities, parking, and paying fees as residents can only visit the property management office during working hours. On the other hand, the management office has to deal with the frustration of collecting maintenance fees from residents, managing paperwork, and dealing with maintenance problems. Recognising these pain points, home-grown technology start-up The Residenz Solution Sdn Bhd offers digital solutions to address the problems. “I live in a condominium and know the pain and frustration of living there,” its founder and CEO Ramesh Balakrishnan says. The company owns an online resident portal, iResidenz, which caters to condominiums and gated communities. It claims to make property management and communications easier for owners, tenants, and property management offices by connecting the parties to expedite payments, bookings of facilities, complaints, notices and more. The workload of the management office is also reduced through automation of administrative tasks. iResidenz also serves as a platform for property management companies and property developers where they get access to real-time reports of multiple properties and other features. The Residenz Solution was formed in 2013 when Ramesh received a request to build such a system. His client wanted the system as he had problems sourcing for localised property management software. “There are such softwares from the US and Australia but they are not as flexible and could be expensive to run,” he says. To date, the system is deployed in over 54 properties across the Klang Valley, Johor, and Sabah. Among them are Summer Suites KLCC, Ampang’s M-City, Desa ParkCity’s The Mansions, Cyberjaya’s Mirage by the Lake, and Waldorf and Windsor in Sri Hartamas. Of the 54 properties, it is used by two commercial ones and eight gated communities. The difference in the system is that the booking function is absent in the commercial properties and gated communities version as such properties do not have condominium facilities. “We are looking at an average of 350 units per property in our system. 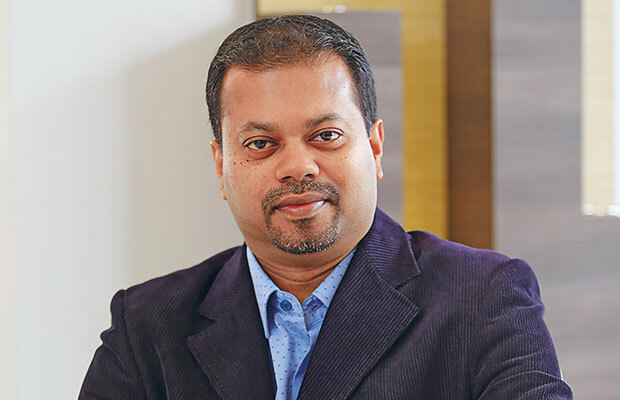 One of our highest users has over 1,400 units in a condominium project,” says Ramesh. Users of iResidenz are charged a convenience fee of RM3.18 per transaction performed through its payment gateway service. Ramesh says this function is optional for residents who can still make physical payments at the property management office. However, the system’s take up rate has been encouraging. The payment gateway, which was introduced early last year, has since surpassed the RM1 mil transaction milestone. As many of the properties on iResidenz consist of high-end condominiums, Ramesh says property owners who are likely to be landlords, prefer to opt for online payments as they rarely set foot on their tenanted properties. For property management offices, managing and tracking payments are one of the biggest headaches faced. “There are some property management offices that allow you to transfer money to their account and then provide them with a proof of payment such as a transaction slip or receipt. “However, it is cumbersome to track as there have been instances where payment has been made but the resident forgot to attach any proof of payment,” he says. Ramesh points out that he has seen unclaimed or untraceable deposits ranging from a few thousand to as high as RM40,000. Payments made on iResidenz are tracked and traceable as the process is automated, making it easier for both parties to monitor. Target audiences for the system, he says, are existing and soon-to-be completed properties. “When we work with property developers, it makes sense as they may have existing projects,” he says. 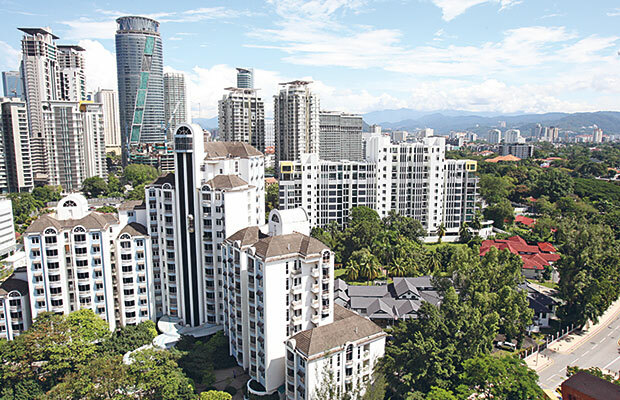 A Knight Frank Malaysia report on the real estate sector for H1 says the cumulative supply of high-end condominiums and residences stood at 47,380 units. Following the recent completion of The Sentral Residences, Arcoris Mont’ Kiara and 28 Dutamas, the figure has increased by another 1,333 units. 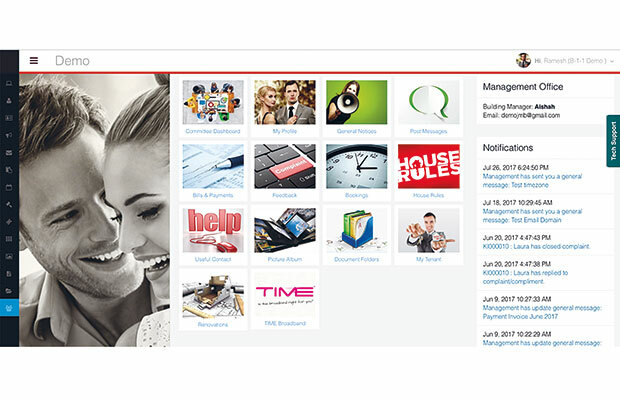 Ramesh says iResidenz is developed as a “freemium” model for property management offices with the option to subscribe to add-on modules such as visitor management, committee management, and tenant management models. (Freemium is a pricing strategy by which a product or service, typically a digital offering or application such as software, media, games or web services, are provided free of charge, but money (premium) is charged for proprietary features, functionality, or virtual goods). “We are planning to introduce our committee management model by Q4. It will allow the joint management body (JMB) of condominiums to document meetings and their outcomes,” he says. This function allows new property managers elected by the JMB to have a clear idea of what happened in the past and be able to pick up faster from where the previous officials left off. Other monetisation options include tailored advertisements on the portal. Ramesh says residents who are booking the tennis court, for example, may be prompted with an advertisement for tennis coaching lessons. The advertising module is still in its experimental stage and has yet to have a fixed pricing structure. “We have residents and property managers coming to us with ways to improve the system, but any new feature we launch will have to satisfy the majority first,” says Ramesh. LOCAL technology start-up The Residenz Solution Sdn Bhd has been knocking on the right doors to fund its business. Its first round of funding from angel investors was in May 2015, followed by another similar one in November that year. The company, which owns property management web portal iResidenz, raised a pre-series A funding round in March from Interbase Resources Sdn Bhd, which operates online shopping marketplace Lelong.my. Interbase Resources managing director Richard Tan says: “This move is in line with our long-term direction to partner and invest in online communities. The funding has also helped iResidenz look into potential expansion outside the country by increasing its talent pool. Though the amount of the funding remains undisclosed, it is believed iResidenz’s entire funding exercise could have secured them a seven figure investment in total. At this juncture, Ramesh says the business is not yet profitable. “Our focus is to gain market share. Once we have achieved that, there is so much we can do in terms of monetisation and revenue,” he says. iResidenz, having 54 properties already on board, has a captive audience of 18,900 users based on the average 350 units per property, while offers to collaborate with it are already coming in. “If we have 100 properties with a captive audience of 35,000, there is so much more we can do,” Ramesh says, adding that he hopes to achieve the figures by the end of next year.